Ghana is yet to reap the benefits of an oil industry because authorities were hasty in planning the structure of the multi-billion dollar industry, Vice Chairman of the Public Interest and Accountability Committee has said. Speaking on Joy FM’s Super Morning Show Tuesday, Kwame Jantuah believes that commercial production of oil within three years of its discovery in 2007 was a “very very short time”. With Ghana having to rely on a 1984 PNDC law, oil companies motivated by profit were not going to wait for Ghanaian laws before commercial production, he explained. According to him, our “need for money” informed the haste and robbed Ghana to opportunity to design appropriate legislations that will ensure the benefit of ordinary Ghanaians. But lacking the huge financial investment needed, Ghana needed to give incentives for oil companies to come in, resulting in the signing of contracts with foreign companies. Ghana makes 5% in royalties from the Jubilee Oil fields as at the signing of the contract by 2006. TEN will also give Ghana 5% royalties. Contrasting this position, he said, governments in the Middle East have a much higher share in the commercial production of oil because they had the power to make huge initial investments. He believes that it should have taken 10 years after discovery to plan better and maximize benefits such as training Ghanaians and local companies in the highly technical industry and prepare for the oil boom. 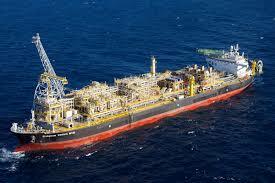 Citing an example of poor planning, he said Ghana is yet to pass laws to deal with an important issue – oil spillage. He continued that volatility in the oil industry has exposed a lack of planning. Five years after commercial production, Kwame Jantuah argues that “we do not as yet have an oil industry, we have oil fields”, he dismissed the impression. He defined an oil industry as one in which all licensed oil production companies are producing and selling the exhaustible resource. At the moment, he believes Ghana has shown signs of the “beginnings” of an industry, the oil revenue monitoring body noted. Nonetheless, it is not too late because more oil discoveries are being made. He said about seven more have been made. “We should make sure that we don’t raise hopes high. We should make sure we plan it properly”. One of the ways he proposes is to leave the task of planning to the National Development Planning Commission (NDPC). He believes a concrete plan followed by every government should see Ghana prosperous in about 15 years. The second largest of Ghana’s Oil fields is the Tweneboa, Enyenra and Ntomme (TEN) expected to begin commercial production in 2016. TEN fields are located in the Deepwater Tano basin which covers an area of more than 800 sq km, and lies around 20km west of British firm Tullow’s Jubilee field.